Home SMITH, Elizabeth A. HOB MOOR. Historic Stray and Local Nature Reserve. 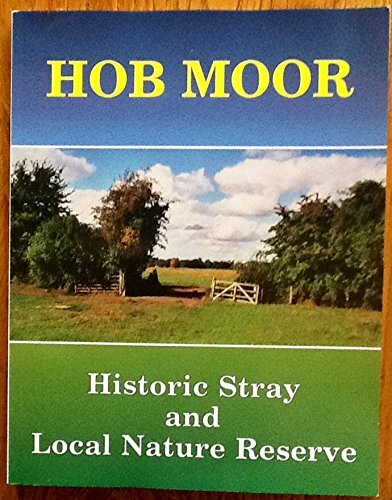 HOB MOOR. Historic Stray and Local Nature Reserve. Established in 1979, we specialise in True Crime & Criminology and issue 8 catalogues each year devoted to these subjects. Catagories include Antiquarian & Collector's Items, Police & Legal Biographies, Classic English & American Crimes, Forensic Matters, Police Force Histories, Jack the Ripper, Works of Reference plus some general stock such as WWI, American Civil War, British Social History etc. Copies of our latest catalogue will be gladly sent on request. We ship to anywhere! Payment in Sterling, International Money Order, Sterling Cheque or VISA or MASTERCARD Credit cards. Dollar checks can only be accepted with an additional £5.00 for Bank conversion charges. Books may be returned if unsatisfactory but please notify as such on receipt.